Here’s a unique idea for a micro businesses: Sign Spinning. Have you ever seen a group of kids advertise their youth group’s car wash by holding up a sign on a street corner? It’s a pretty good way to get attention. Two teenagers, Max Durovic and Michael Kenny, were hired to be teenage sign holders. But they got bored and came up with stunts where they spin and throw their signs like batons, strum them like guitars, paddle them like canoes and ride them like horses. Sound like fun? Maybe, if you are part clown, athlete and actor! It’s like earning money doing an extreme sport. Check out the successful website the boys have here: AArow Advertising.com There are even a few videos so you can check out their technique. There are also several videos on You Tube if you’d like to see even more. It’s no longer a micro business. AArow Advertising now has 36 franchises (copies of the business in other cities) all over the globe, and thousands of employees! I think that you could find a local restaurant or store that needs some more customers. 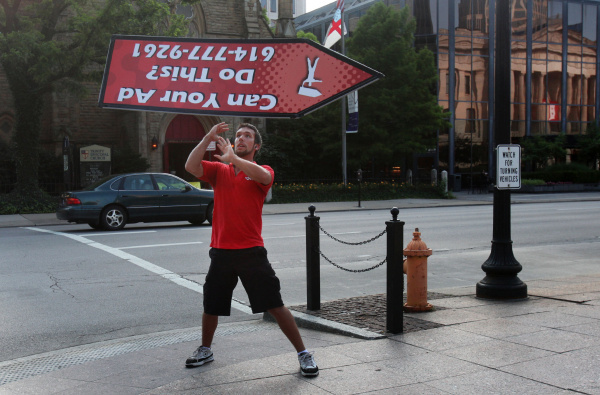 See if they will hire you to be a sign spinner for an hour or two and you are in business! My book, Running a Micro Business, has more tips on running a micro business. Micro Business Idea: Poultry Farm? I remember seeing something about this a couple of months ago. The video was crazy! I don’t really think you’re just going to walk into a business and get hired for this though. I would imagine this takes a lot of practice or training! The founders at AArow Advertising do offer training, but a creative person can take their idea and modify it. I’ve seen people holding signs for oil changes and tax prep in front of stores. Just add sign spinning to get attention! That’s me in the photo! @business signs – you don’t walk in to a business to get a job as an individual. That doesn’t work! You join on with AArrow and get training! Their methods make it possible to learn stuff ordinary humans couldn’t. Once you become an actual Spinner, then AArrow will provide you with a work schedule for different events, businesses, etc. 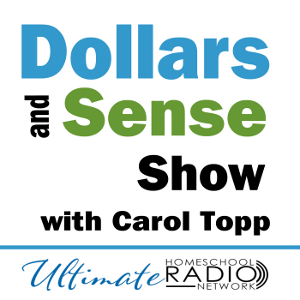 @Carol Topp – easier said than done! I’ve seen that attempted a million times. The signs weigh about 5 lbs spread across 6ft and you have to learn how to condition yourself for throwing them around for 4-7 hours! Usually “independent” spinners get discouraged – passersby are unforgiving if you don’t impress them, and can be quite nasty.